I would think that should be fine, as the dish on the studio model looks frosted. Ah, good point. Sanding the rear side where the small circle is might be super easy, and helping to create this diffuse light when lit from behind. 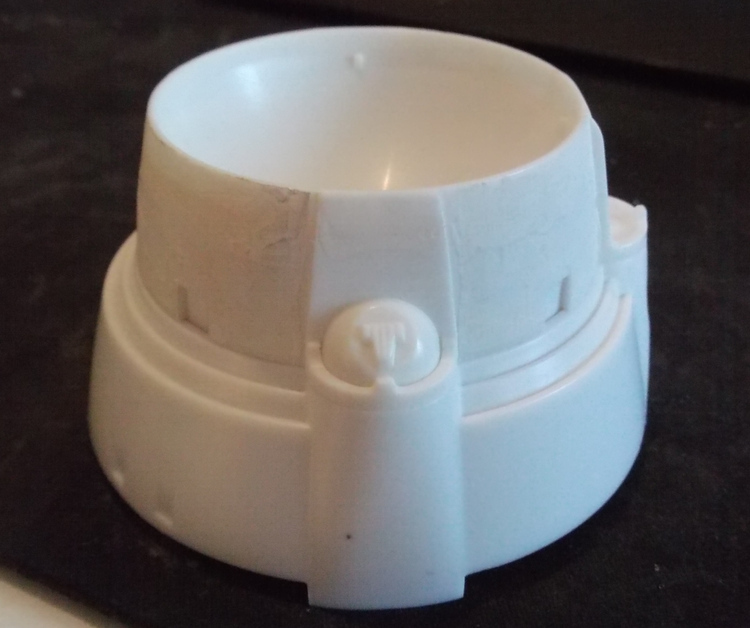 Hmmmm, presumably, with the back side sanded, the three oddities in th plastic might not be visible, unless they are and even still visible when the dome is lit from behind. I'll worry about that later. Hm, I might be wrong, but I think a subtle frosted look at the front side might be a good idea, as I don't think there should be a glass like surface there. Unsure. Painting the dome transparent blue might help as well. I just realized that I can probably cut out, and sand down the existing clear part. 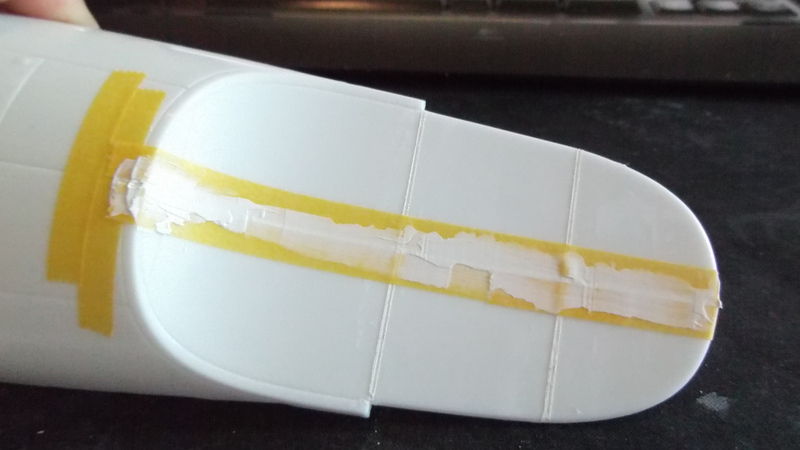 Then I can add those 32 strips of styrene to make it more sharp (I would want to create a placement guide, and not just jot down some glue hoping things will look ok). Problem is.. I've never done something like that before, to perfection. I do have plenty of high grade sanding paper, super fine, but I never made a polished clear part ever before. FWIW, some people puts strips on top of the existing raised lines, Boyd covers it in his video. That's what I plan on doing. I think I will start with the deflector dish area. I have added the first iteration of putty to fix the sink marks. 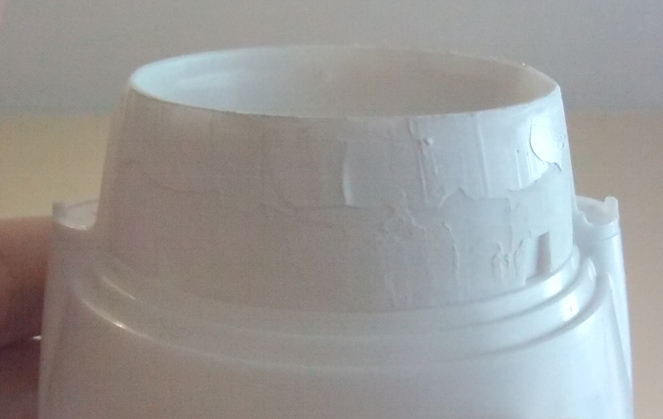 More layers of putty will be required, because putty isn't good for filling larger cavities, and the putty will shrink. In order to best evaluate the result of this putty/sanding job, I will have to spray on some primer to get to look at an evenly shaded surface, in order to spot imperfections, which is hard to do now. It does help to look at the curve from the side, but that alone won't guarantee that the surface itself will look smooth after adding paint later on. I am not eyeballing this tapering. If I remember correctly, I "pinched" the shape by just short of 1mm on each side, making sure I don't overdo this and thus avoid making the shape too pointy. I am here making a correction to the kit. By cutting off some plastic, and (later) adding back styrene to restore the edge shapes, I am correcting this shape in the photos below, more narrow! 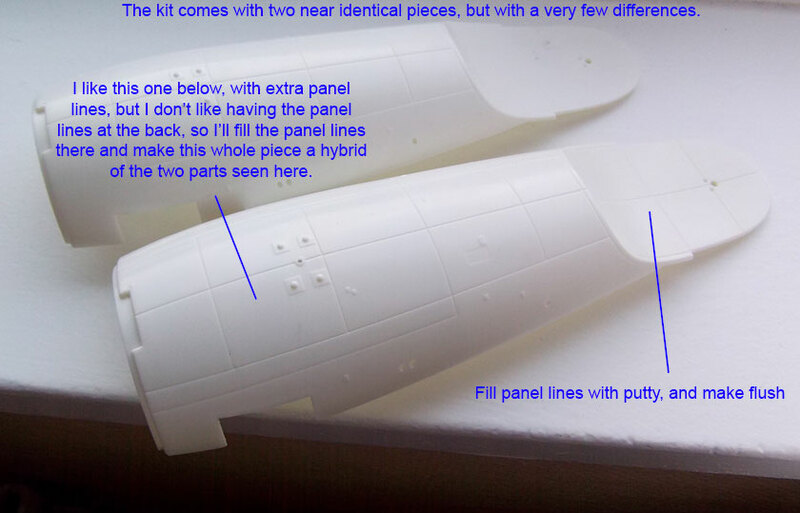 As per the studio model design. However, the studio model show the large circular shape to be flat, and not rounded, however I think it looks nice with a rounded shape, so I will keep it. It is this rounded shape that I am fixing with putty to get fill in the sink holes. After.. Btw, that thing that is added here below, I have to add some thin styrene bit underneath it to fill the gap (not seen in the photo). 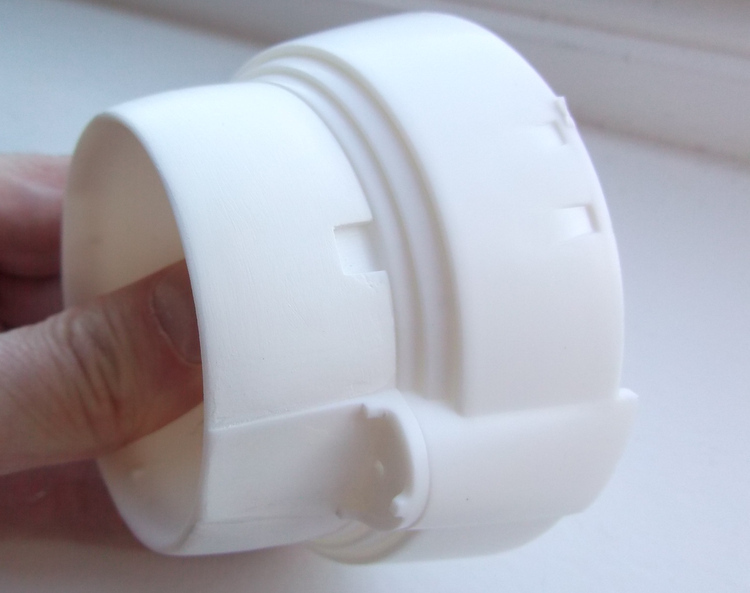 Also, the studio model show that this "thing" is connected to the structure, so I will add a bit of styrene to create this connection. Also, I have a photo etch part replacement for a tiny detail on this "thing" there, unsure if I should make use of the photo etch or not. I am still waiting for the photo etch stuff to arrive though. Now, I haven't added styrene to replace the edge that was cut off and removed. I used the exacto blade to first mark, and then cut a straight line into the plastic, very, very carefully. Sometimes digging into the plastic from the side. I should have used a photo etch saw, but I don't have any that is long enough, and I fear that a large saw blade will make it difficult to cut with precision. I can't have a fraction of a millimeter off, so the thing sharp blade is nice for marking lines, instead of using a pencil or anything like that, which would be too crude. Hm I think a strategy for sanding this thing into shape, would be to: I DO NOT RECOMMEND ADDING THIS AMOUNT OF PUTTY! It will take a lot of time to clean up, and this will be very difficult to make it look ideal. 2) Start sanding the center part, so that, this can be made smooth enough, for evaluation, then afterwards, sand the front and back side, making the front and back side match the now smooth center part. 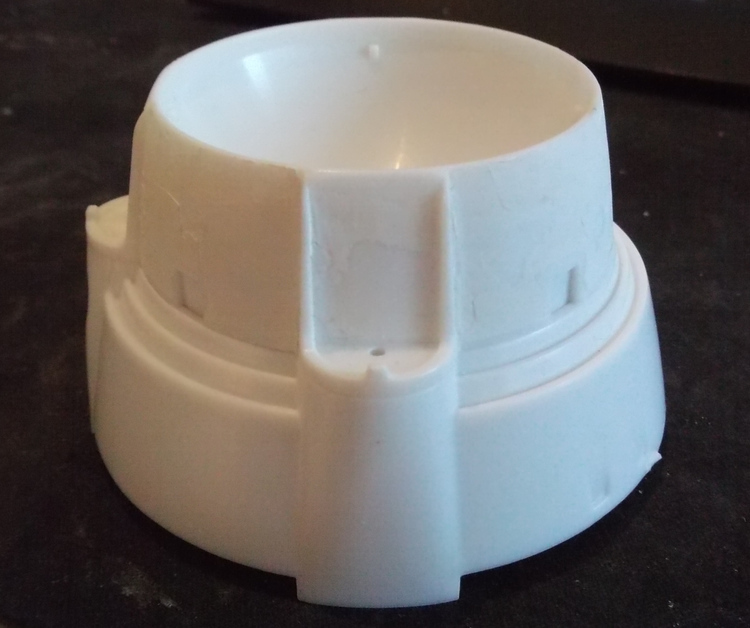 In hindsight, I could at the very start have added a thin strip of styrene all around front and back, to better guide the application of putty, with less eyeballing. 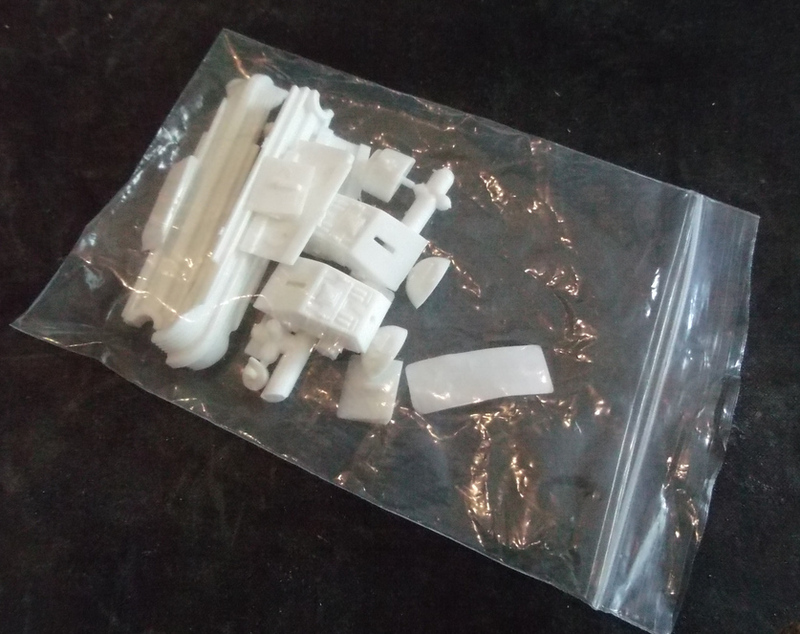 I sometimes like cutting off the larger parts from the sprues, and in this case, I put them in a zip loc bag for safe keeping. This way I can clean the parts not having to worry about actually building or gluing anything: (Avoid using bags that have holes in them. Some packaging material comes in bags with small perforations in them, which are not good for using as bags for small parts, which will fall out of the bag through those holes at some point. I have started to get a little anxious about how to make my custom stand, which would rely on a welded piece of steel, that ends with a flat wide strip of 2-3mm steel, that will go into the model at the bottom, BUT, father away from the deflector dish, making the predicament of the front heavy model, worse. I only have to make sure that the 700+ gram heavy saucer doesn't make the arrangement inside, snap, or sag. For this reason, I will NOT model the interior with the hangar bay, as all this space will be used for creating a solid support for the unbalanced model. Heh, I hope this works out ok. It should, as long as I can get to create solid bonds, with enough plastic inside I think. I will try make a drawing of my general idea later. It would be very simple. Just place the model onto this flat wide strip of steel, and then the weight of the entire model would basically rest on the solid steel vertically, and then the imabalance that puts pressure on the flat wide strip of steel, will have to be stopped by this flat wide strip of steel, such that it won't start bending, nor swaying just a little bit. I think this can work. Proper dimensioning of the steel and the arrangements inside the model to clasp onto this flat wide strip of steel will be a critical factor for achieving a stable-not-falling-to-the-floor project. I believe the studio model is similar to the bottom shape. I just don't like seeing the panel lines on the back side. This should be a sensible way of applying putty. Less mess, and less putty used. The height of the masking tape helps add a little bit of extra putty, as opposed to scraping excess putty off the plastic around the panel lines. Because of the restricted amount of putty used, sanding this will be simpler and easiler. I accidentally sanded off the small wide tap at the end, thinking it was flash. It was not. However, I don't expect any difficulties from having cut it off. If you double stack the masking tape, you get a little more putty over the panel line. I had to add round of putty on this. Haha, yes. I've trawled through those pages more than once already. 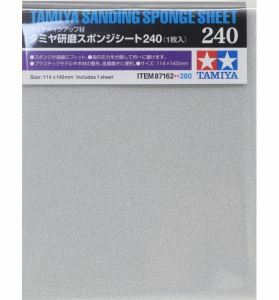 I am using cut out bits from Tamiya sanding sponges with grits of 240 and 1000 for this. I think this looks better than I had eh feared. With some primer on, I should have a better idea of how well formed and how smooth the surface is, and then I can sand the layer of primed paint a little bit as well, but maybe I can't use putty on top of the primer, unsure. There might be something like 5-10 layers of putty here, in patches. 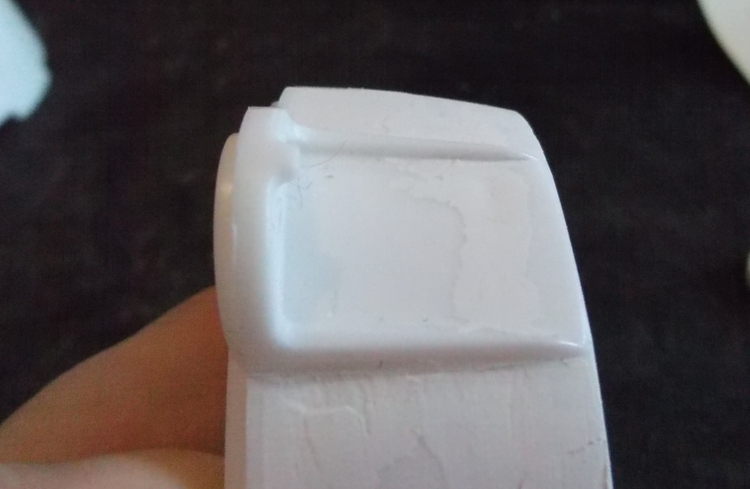 Btw, as the putty sticks to the sanding paper, it helps changing to a new clean piece of sanding sponge so that the particular grit gets its bite back. It helps sanding along the directions of the circular shape to better get smooth surface without sanding off too much of the putty, in order to retain the slight curved shape. Hm, there is perspective distortion going on there, so the shapes looks unnatural I realize now. Your hunch is correct, but it wasn't 1:1; have a look at this. Thank you, I will try to keep things nice and clean. The larger the model, the easier it should be. I think the fun thing with scale models on display (other than being recognizable miniatures), is, that models tend to look great when viewed from a distance of 50cm to 1m, and then the closer you get you get to spot things that stand out, and then at very close up I think it will by near impossible to still have the same convincing quality about it all. 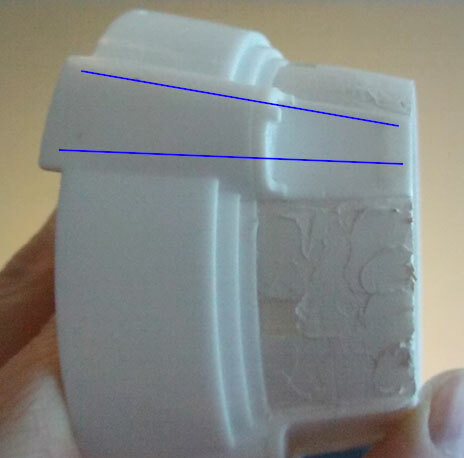 The paintwork will start to look coarse, and any uneven edge in the mold/plastic with any gaps will show, and decals might look misaligned on scrutiny, I will try to lessen all of that. Hm, I was about to say something, what was it.. Ah yes, so I think it will be a good idea for me, to be careful about the choice of color of paint on the INSIDE cavity of the deflector dish, becuase I think then I can rely on the color behind the more or less transparent deflector dish to give the deflector dish color, INSTEAD of trying to spray the more-or-less transparent deflector dish with a particular color. I should finish my work on the opaque deflector housing parts and start working on the big circular clear part for the deflector dish. I will sand the backside smooth, but not too coarse, and I will cut off the 32 raised lines, sand the surface, and glue the 32 lines back using styrene and maybe some transparent glue (something less nasty, like wood glue, or 'Micro Kristal klear' or maybe Tamiya Extra Thin Cement if the excess glue doesn't blemish the now sanded surface (I can clean it up, but I don't know how much sanding will be required to get the excess glue off), then, sand the excess glue off the dish, and then mask the thing and just paint the 32 strips of styrene. I think I read some place that painting them with 'aluminum' was suggested, but I have to think about it, I think it is important that the strips aren't something shiny, and the same wth the deflector dish which imo ought not be reflective at all, ELSE, reflections from the environment will show up on the very front side of the deflector dish.